Holiday house for 5 persons approx. 1200 meters from the sea in Cinquale, on the coast of Versilia. 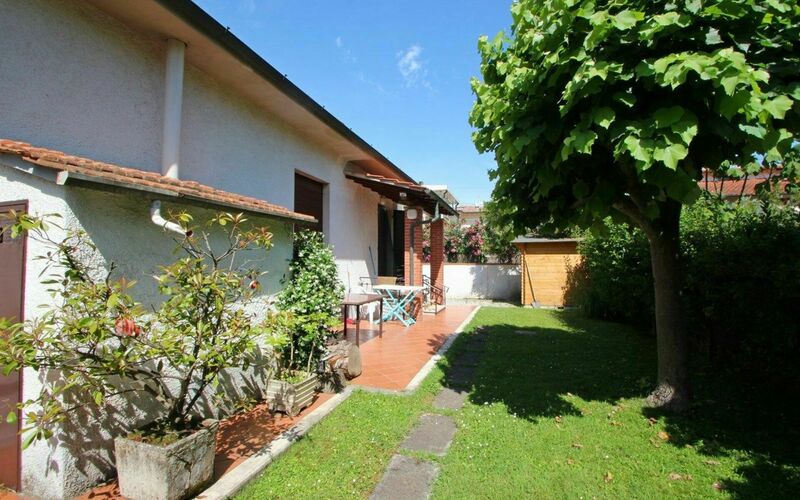 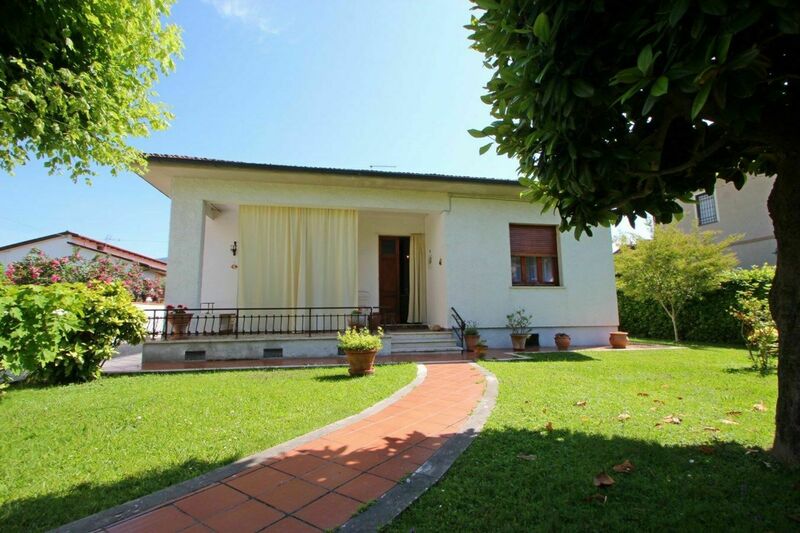 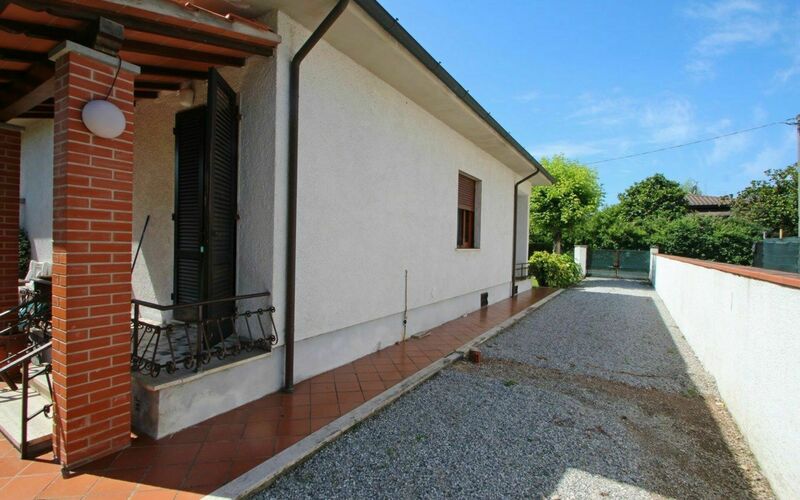 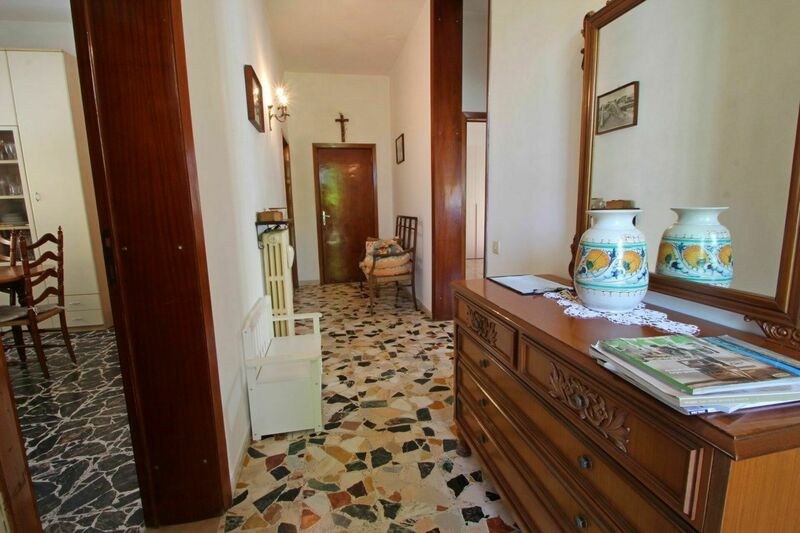 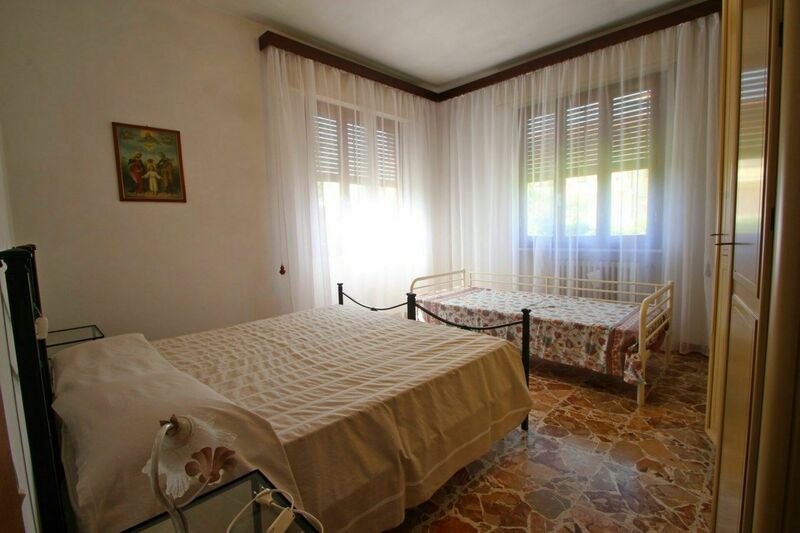 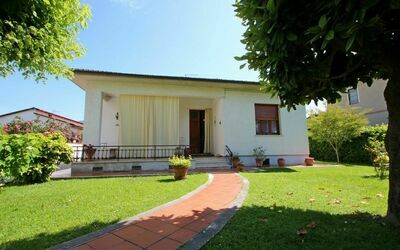 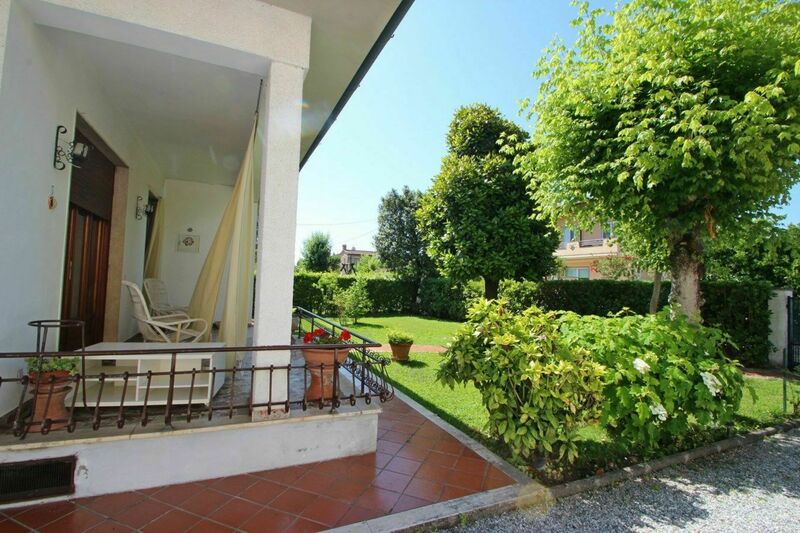 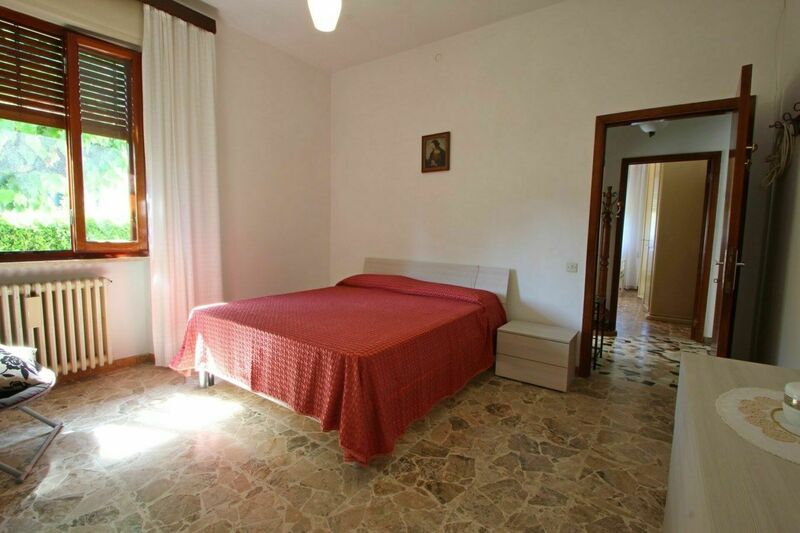 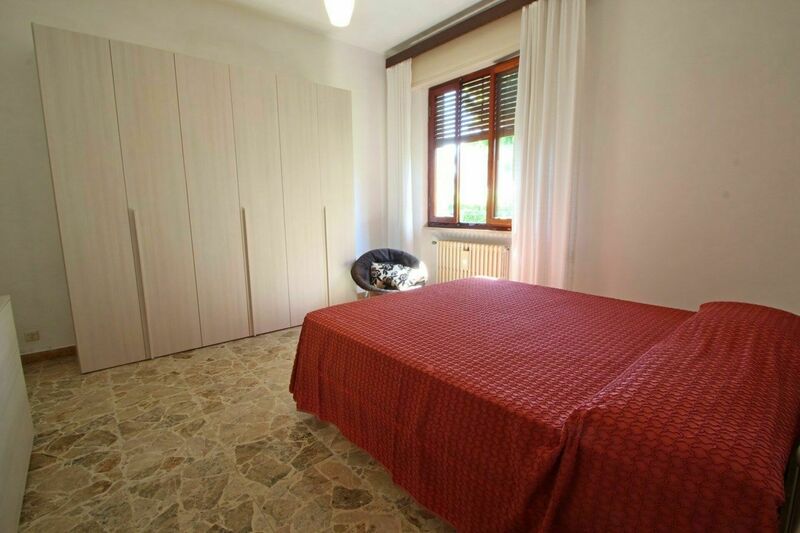 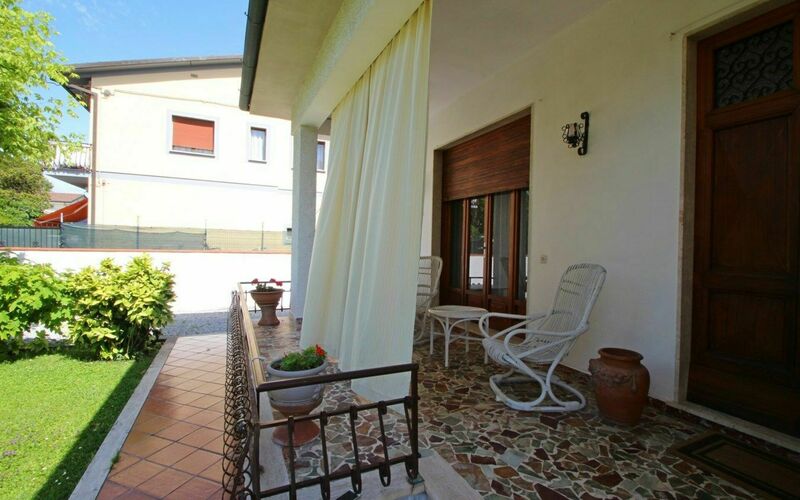 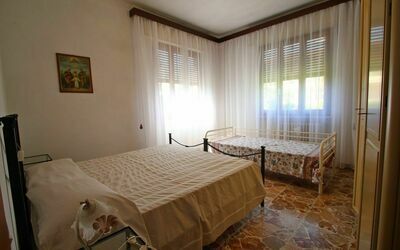 The holiday home is completely fenced and free on 4 sides with private garden of about 300sqm. 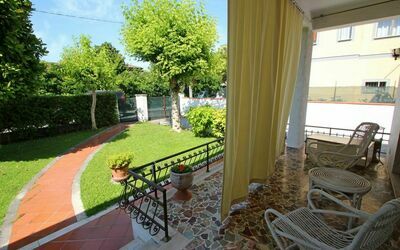 Inside the garden you can park 2 cars and there is a table with chairs to enjoy the outside, a barbecue and a terrace protected by curtains and a sitting area consisting of two armchairs and a coffee table. 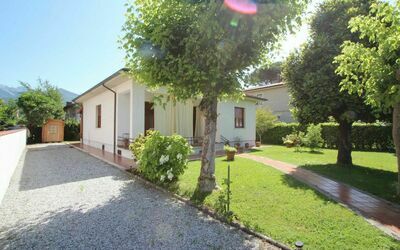 The location is idyllic for a seaside holiday that can be reached by bike (next to the house there is a rental) or to visit the main attractions of Tuscany such as Lucca, Florence, Pisa, Siena and The 5 Terre in Liguria. 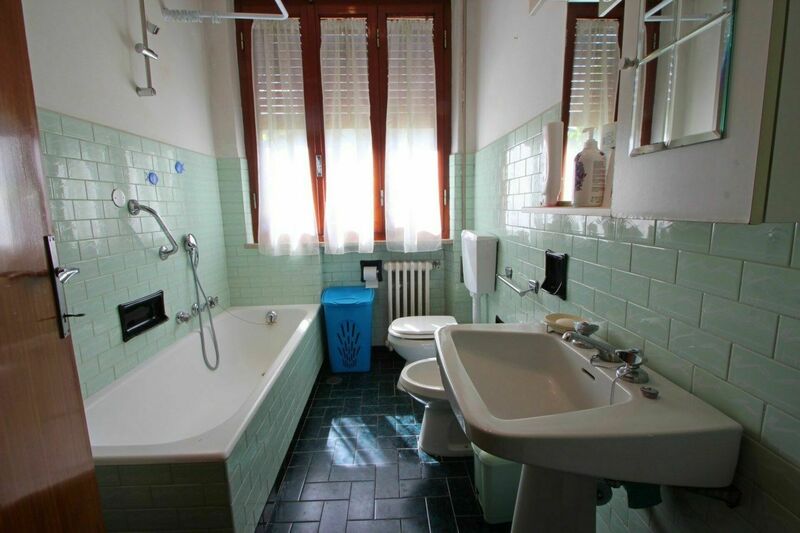 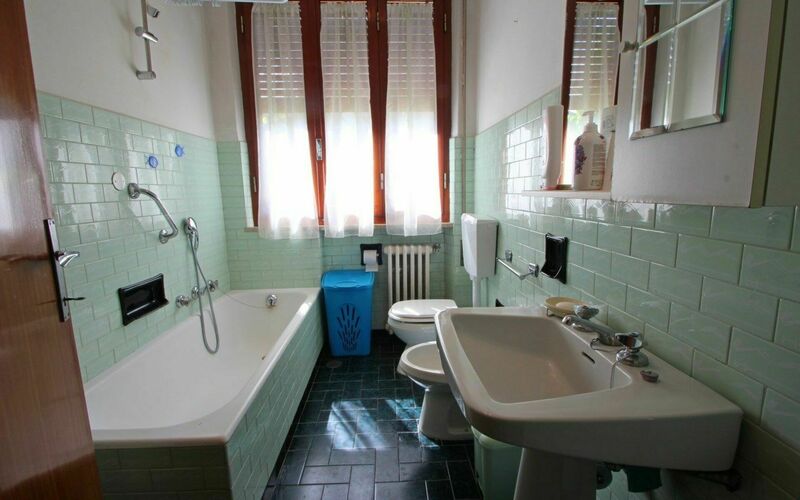 Internally the house comes with a simple but adequate furnishing to spend a Tuscan holiday at the sea. Composition: It develops on a single floor and the room are all connected by a corridor. 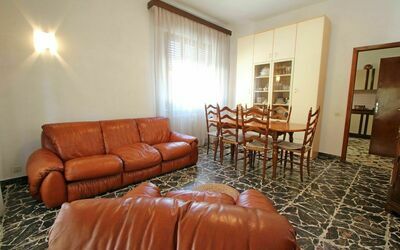 Living room with a 3 seater sofa, 1 armchair and a dining table. 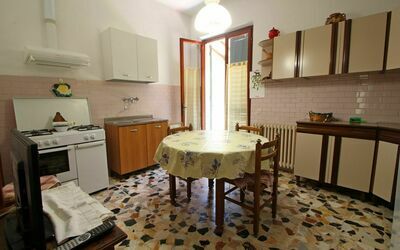 Minimal kitchen with 4 burner stove, washbasin, dining table for 4 people, small TV with Italian channels and door leading to the back of the garden. 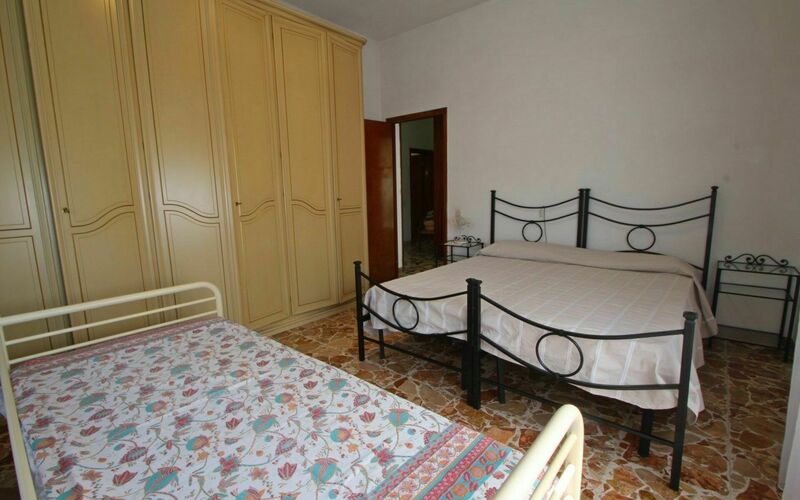 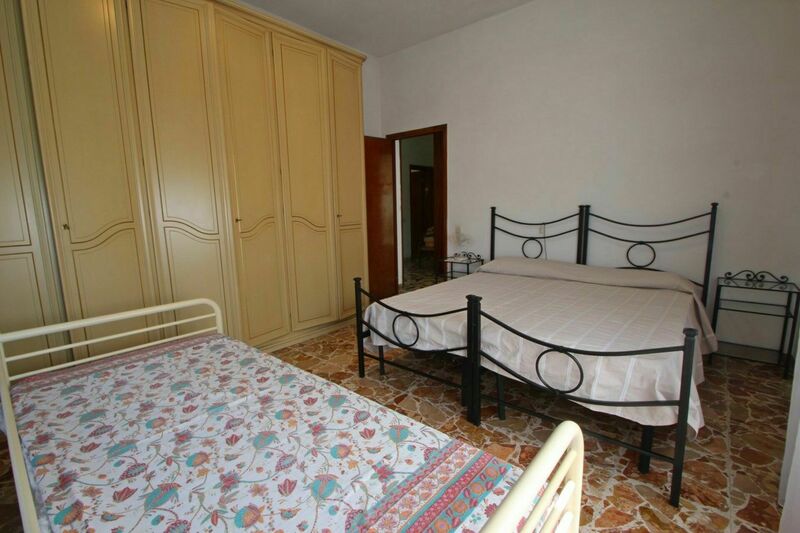 One room with three single beds (2 can be joined in double).